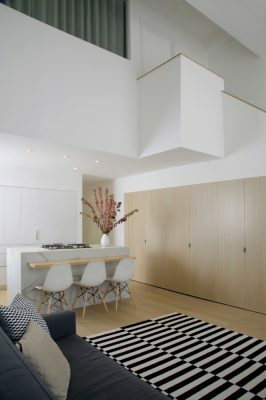 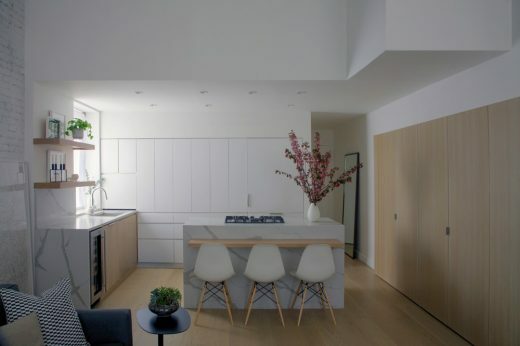 The existing stair isolated the kitchen from the living room, which was relocated to open the floor plan and maximize the amount of natural light and ventilation for all spaces. 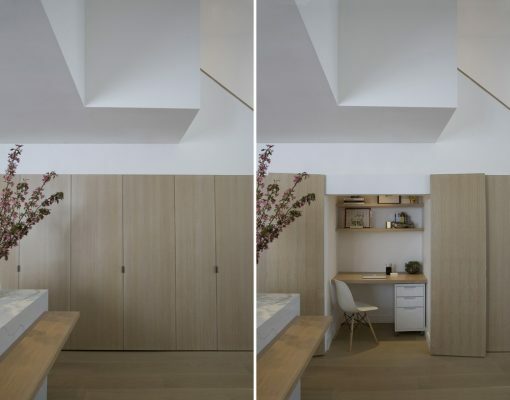 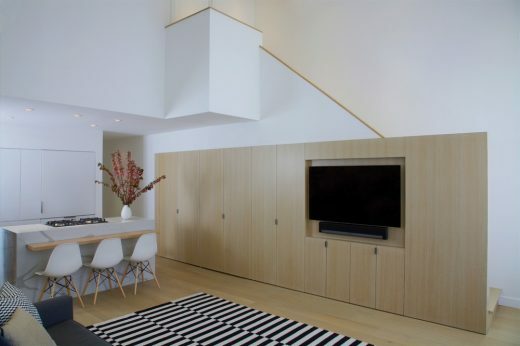 A feature wall below the staircase incorporates storage, a small office, and media center hidden behind large panels finished to match the kitchen cabinetry. 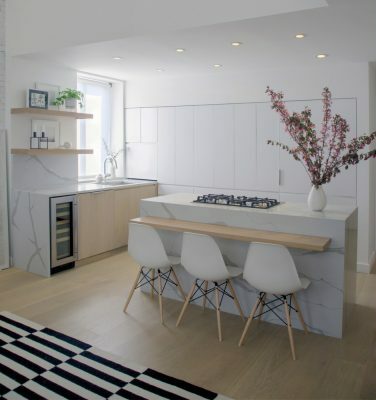 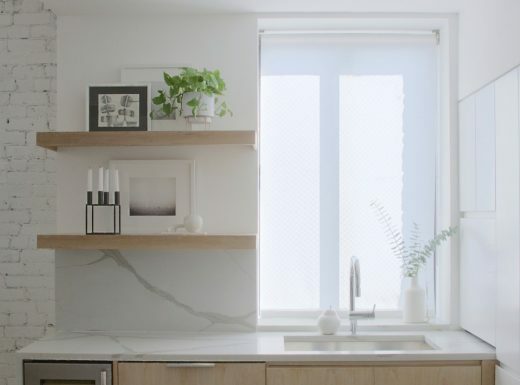 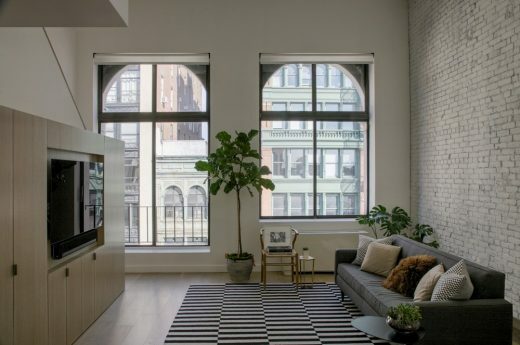 A pallet of white oak, white quartz, and painted brick was utilized to maximize the sense of openness throughout the apartment.